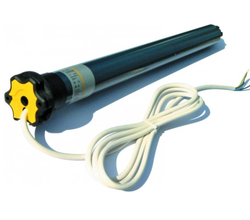 Leading Manufacturer of awning motors from Thane. Awning - In order to choose the ideal automation you'll need to know: the diameter of the tube around which the awning rolls, how much the awning protrudes and the number of arms of the structure. Awning can be armed awning [wall mounted], box awning, canopy awning, arbour awning or a winter garden, cable control and a one with radio control, climatic sensors to detect strong winds, luminosity sensor to protect from the sun's light and heat. Blinds - are the response to the need for protection from the sun, well being and personalized lighting.